It’s funny how things come around for Samsung, who once again got beat by the big rival Apple. 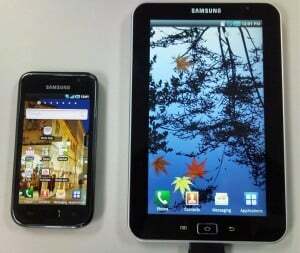 The ITC (International Trade Commission) found that several Samsung devices are infringing on some Apple patents. These are design patents including software scrolling features and headphone jack behavior. The definite decision in this case was to ban a number of Samsung devices, the list not being fully defined yet, but including older flagship Galaxy S, Galaxy Tab and Galaxy 10.1. As this can be seen as a big victory for Apple, it can also be seen as a more symbolic one. I’m saying this because most of the device that were banned are more than 2 years old so they are not really a threat for the competition anymore. However the irony of the case is that Apple was too found guilty of infringing some Samsung patents and was banned from exporting and selling a number of older devices not long ago. However president Obama and his administration had the right to veto the decision and cancel the ban against Apple, and that’s exactly what they did. This time they can also cancel the ban, but that less likely to happen as the impact of this ban is not that high on the US economy. After this decision Samsung has 60 days to comply and retract the devices from any commerce. This was yet another win for Apple, adding to the pile of battles that the two companies have.